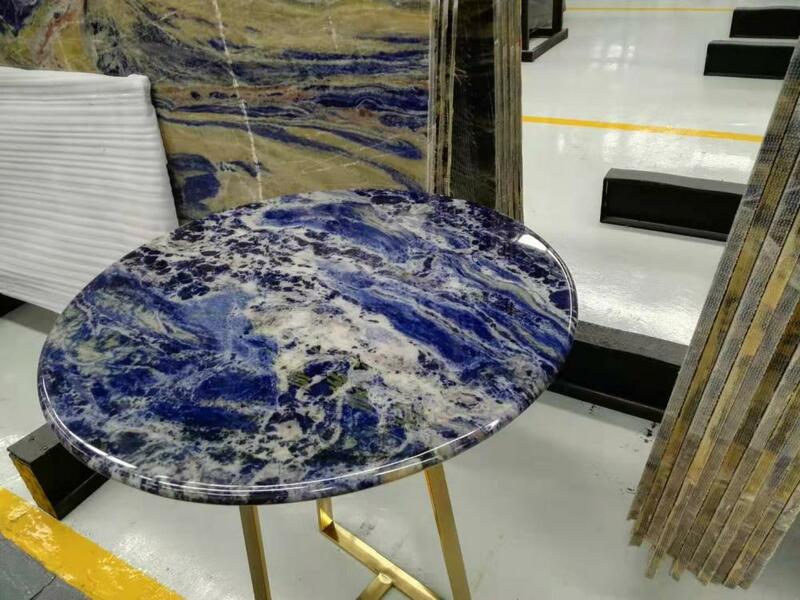 Semi Precious Stone Table Top series – As blue is rare color in rock, just a few kinds of Semi Precious Stone are blue, such as blue agate, blue sodalite, lapis. 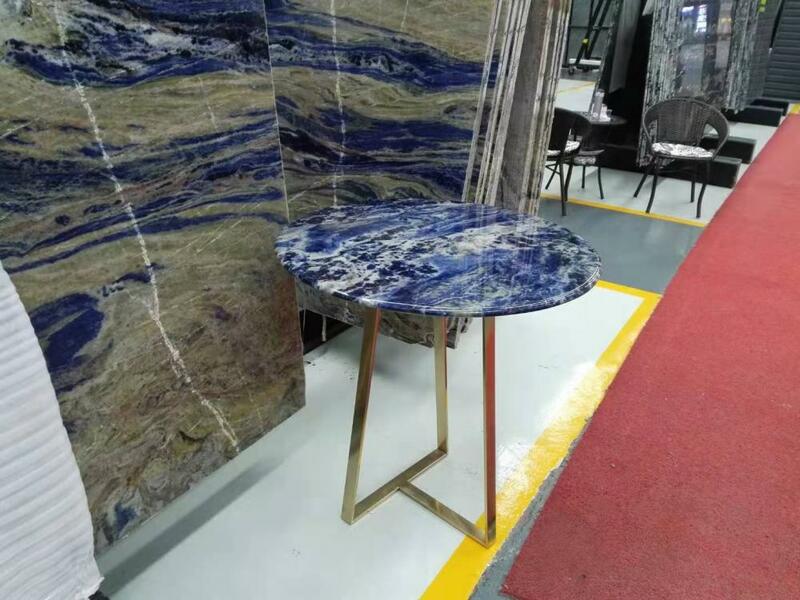 If you favor Blue vein stone table , lapis lazuli table, perhaps you also will like this kind of blue sodalite table.- ,this table is made with our quarry semi precious stone blue sodalite . there are 3-5 blue sodalites in China, our blue sodalite quarry is newly marketing ,so it is the best competitive. 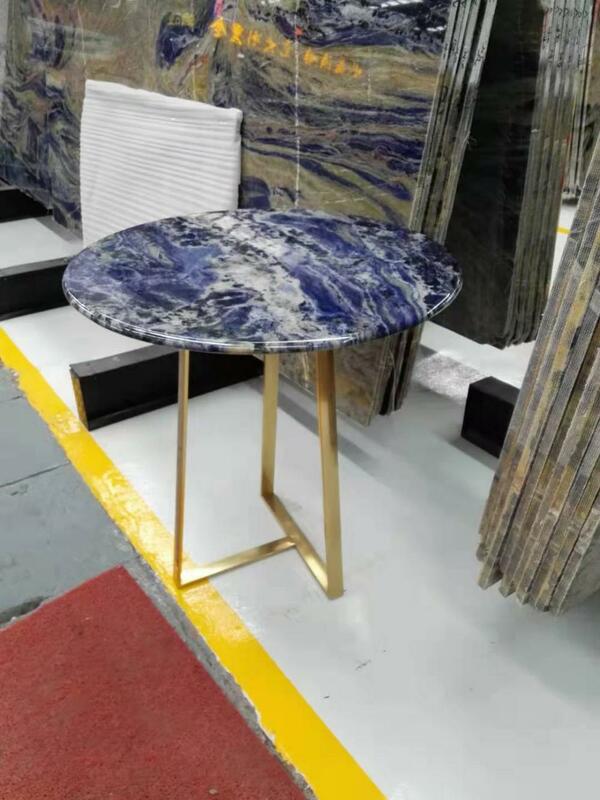 We cut the most beautiful blue part from one big slab to make this round table, size isφ80*2cm,surface finish is polished, table top shape can be round and rectangle,thickness is 2cm , of course size and top shape can be custom. Looking for ideal Blue Vein Stone Manufacturer & supplier ? We have a wide selection at great prices to help you get creative. All the Blue Coffee Table are quality guaranteed. We are China Origin Factory of Lapis Lazuli Table. If you have any question, please feel free to contact us.